Our menu below is available at both locations. However, the Huntersville location has additional items. 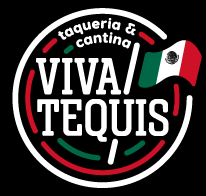 For the Viva Tequis in Huntersville menu click here: Viva Tequis Huntersville Mexican Restaurant Menu. With soft, locally made corn tortillas, onion & cilantro. Filled with rice, beans, cilantro, onion & salsa. White cheese sauces served with corn chips. or ask for our house ranch. Each is made to order with one avocado.